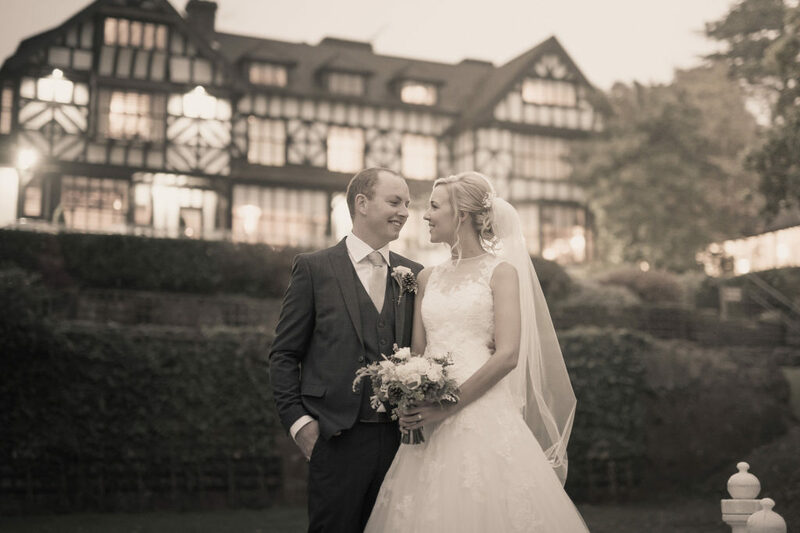 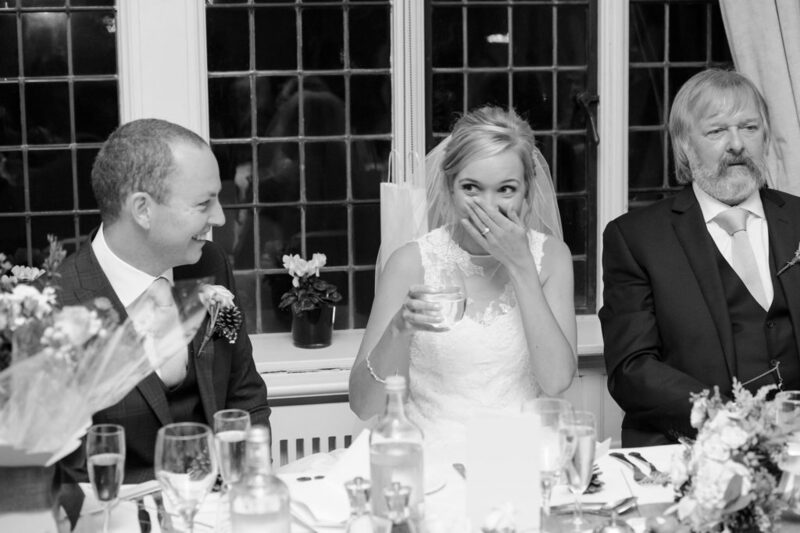 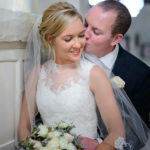 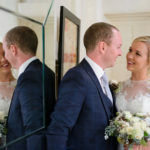 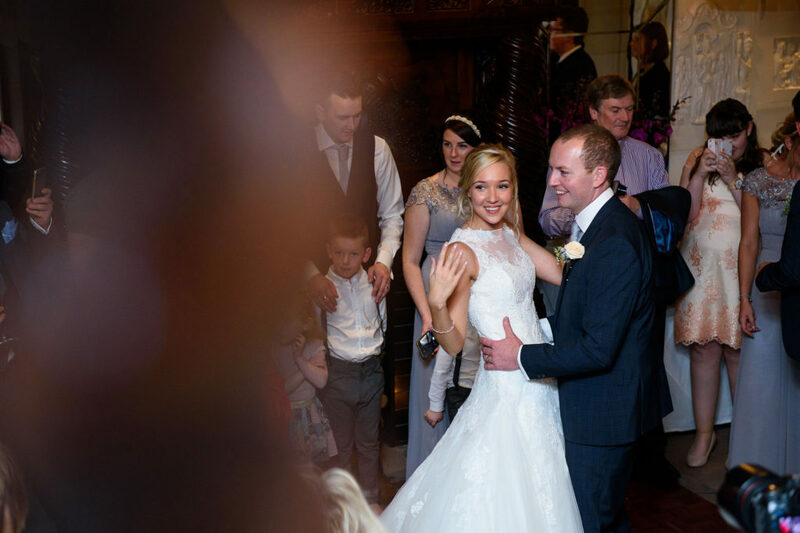 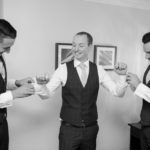 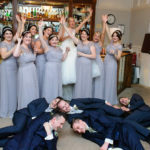 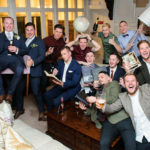 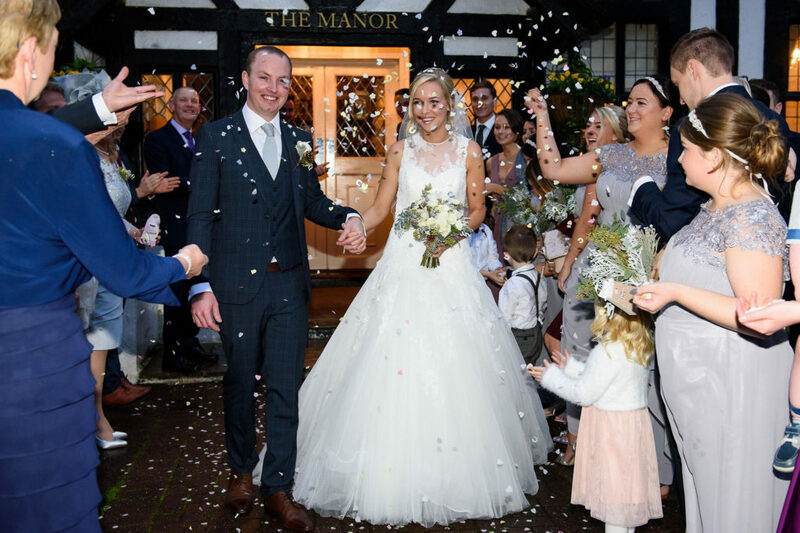 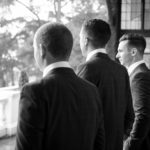 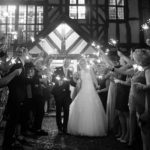 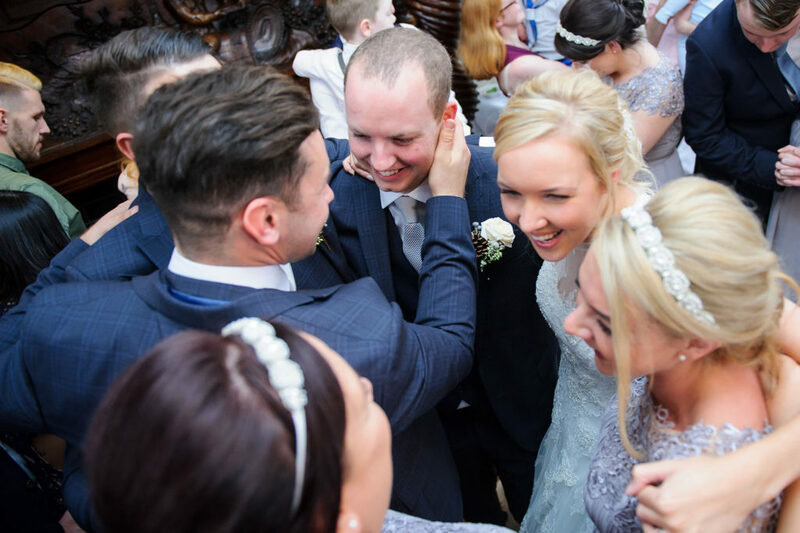 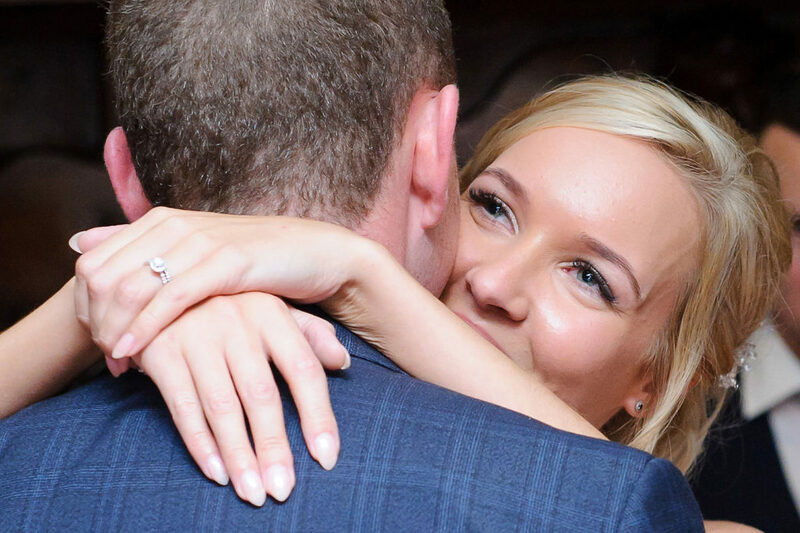 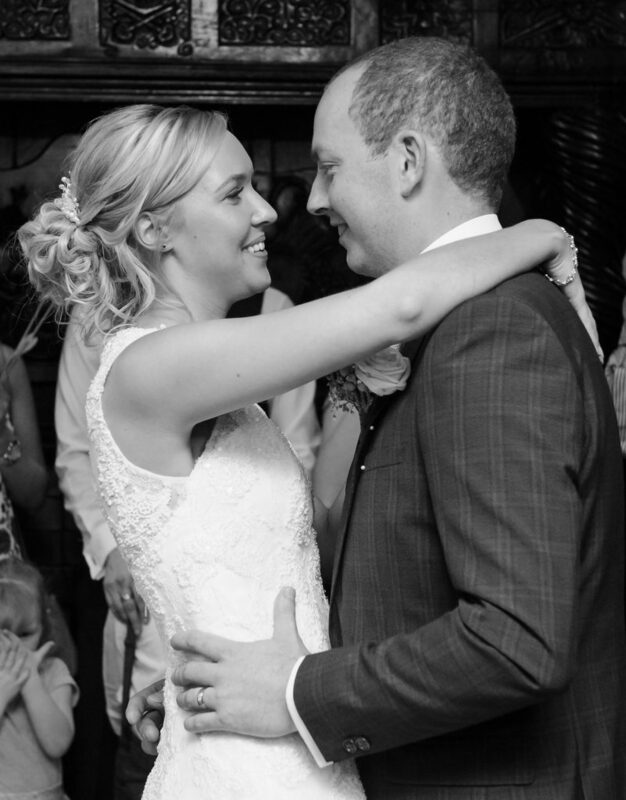 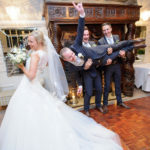 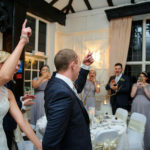 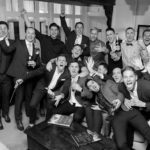 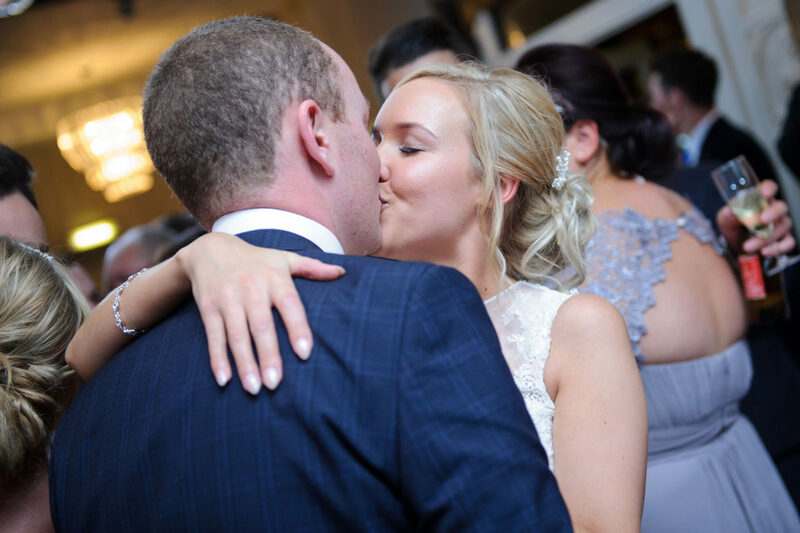 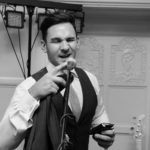 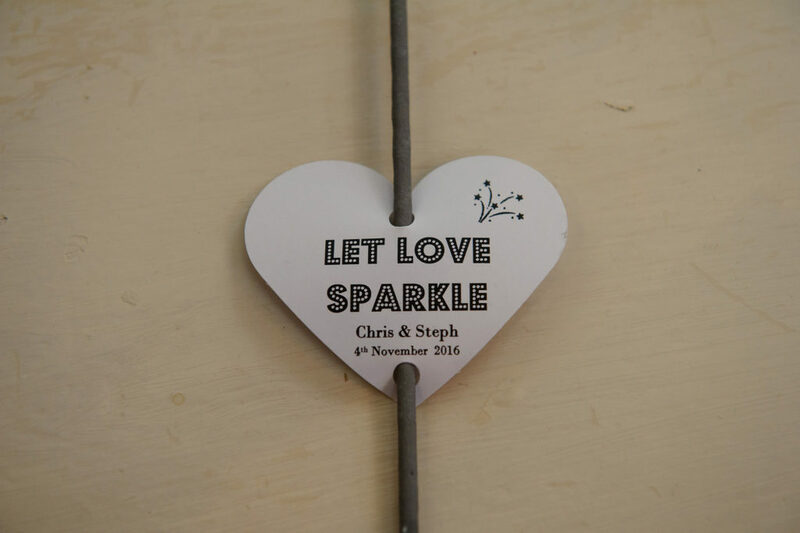 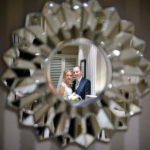 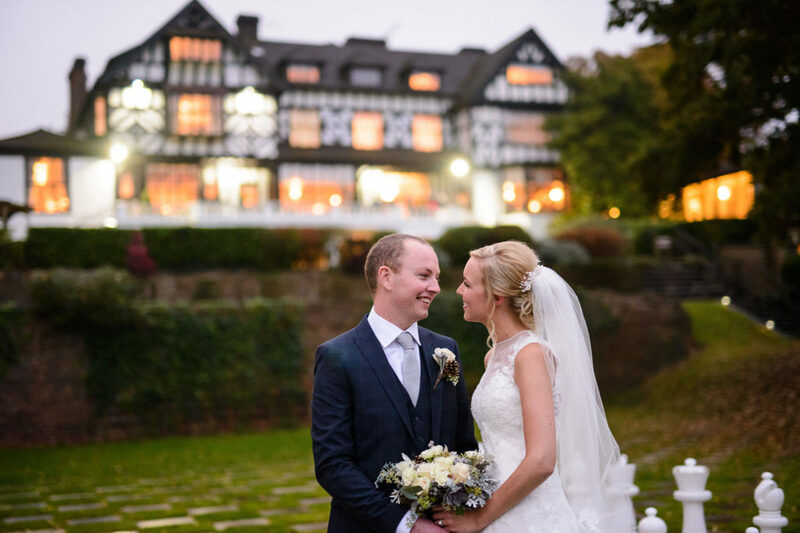 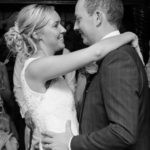 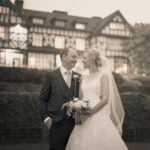 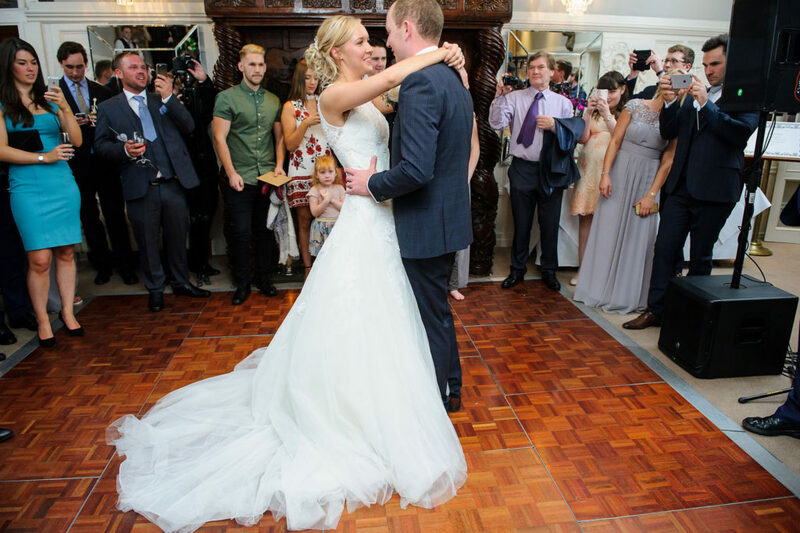 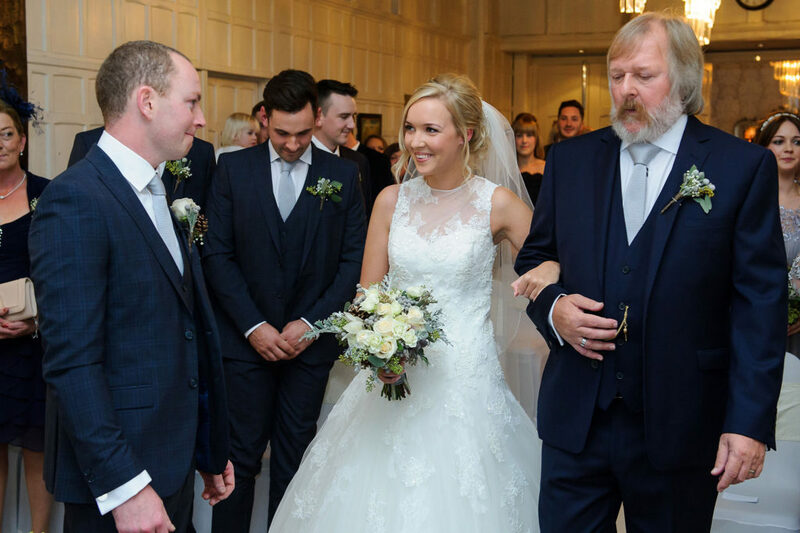 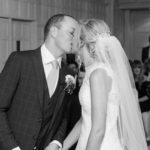 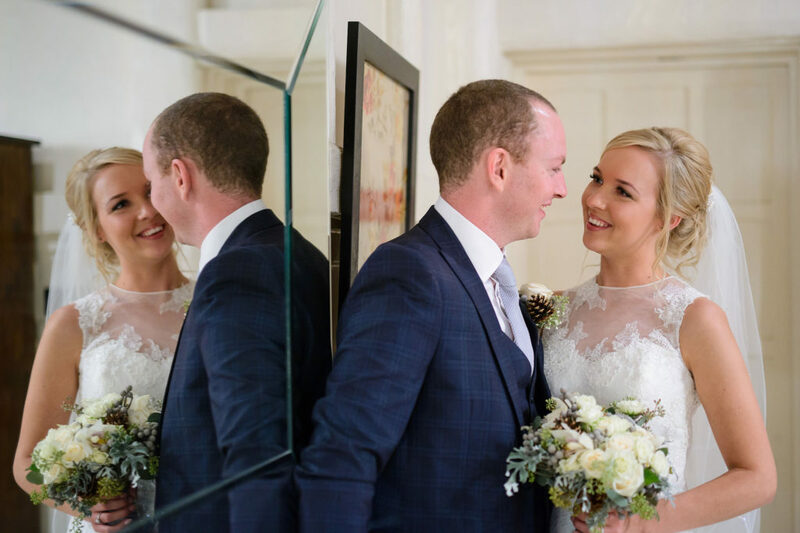 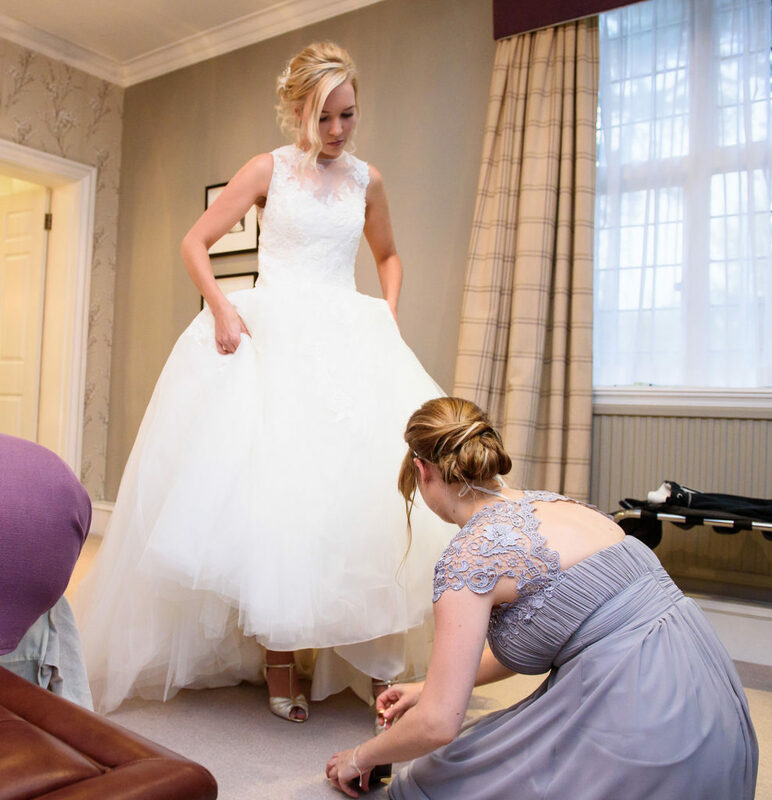 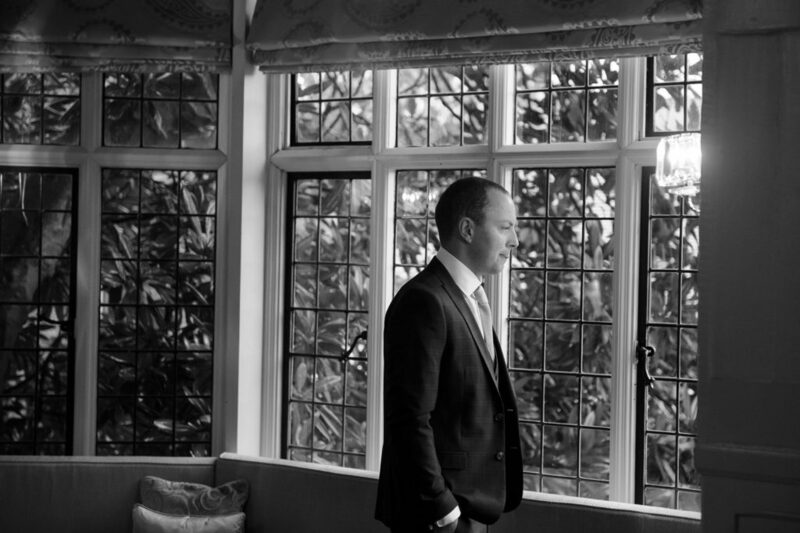 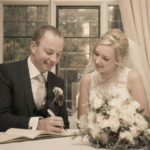 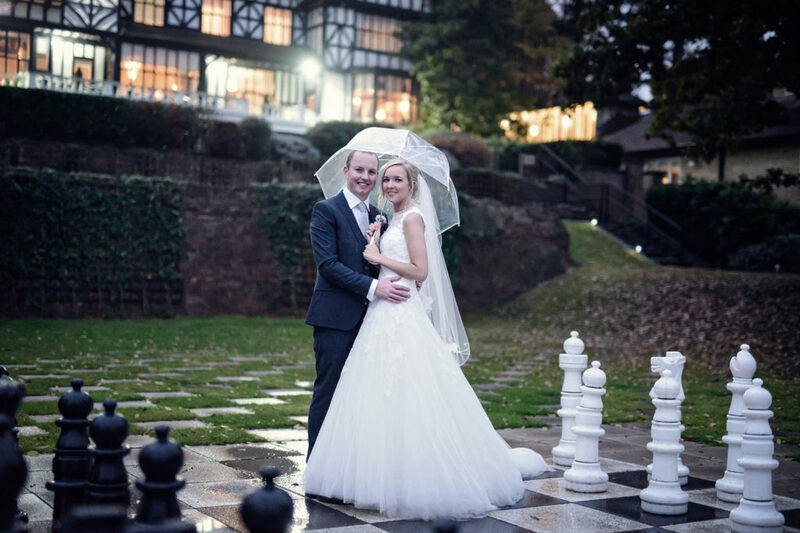 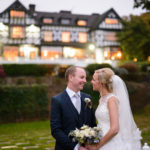 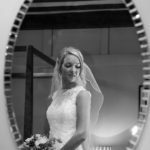 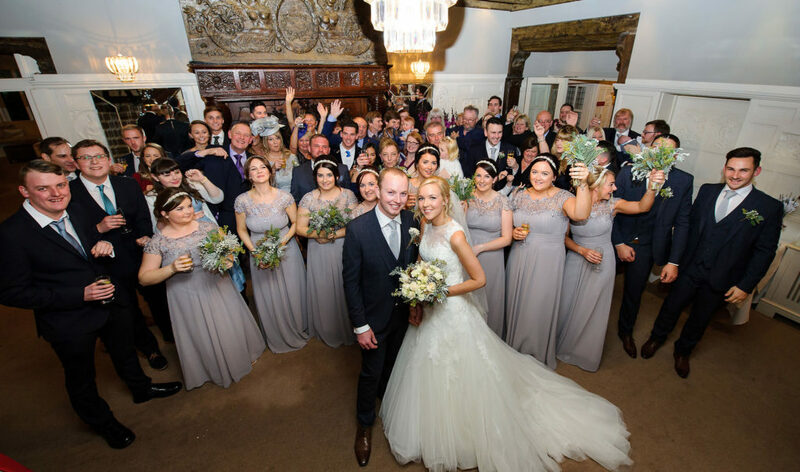 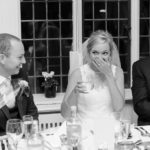 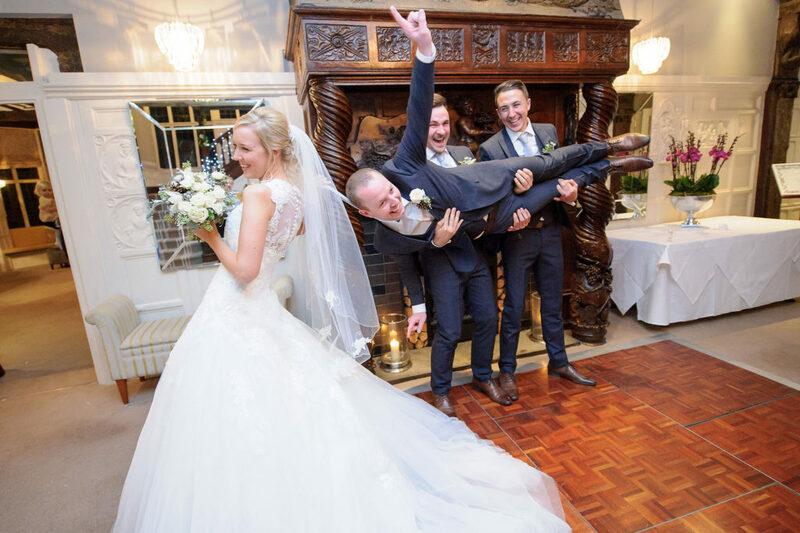 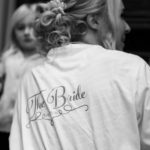 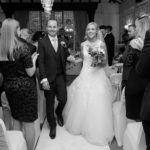 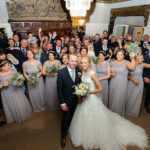 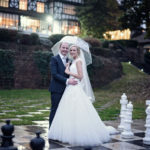 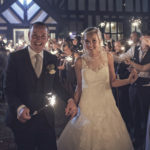 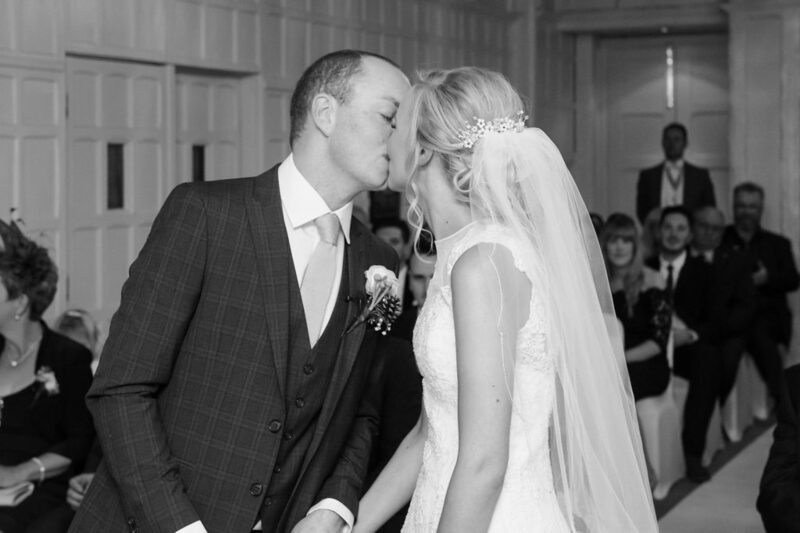 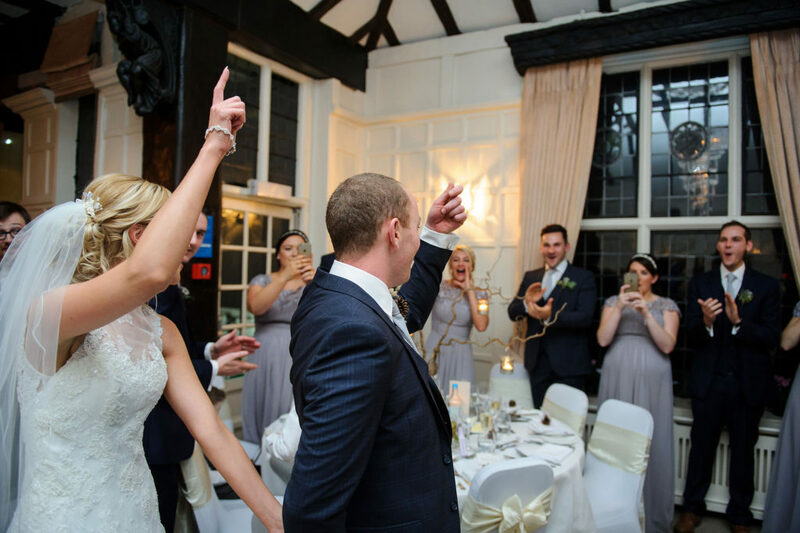 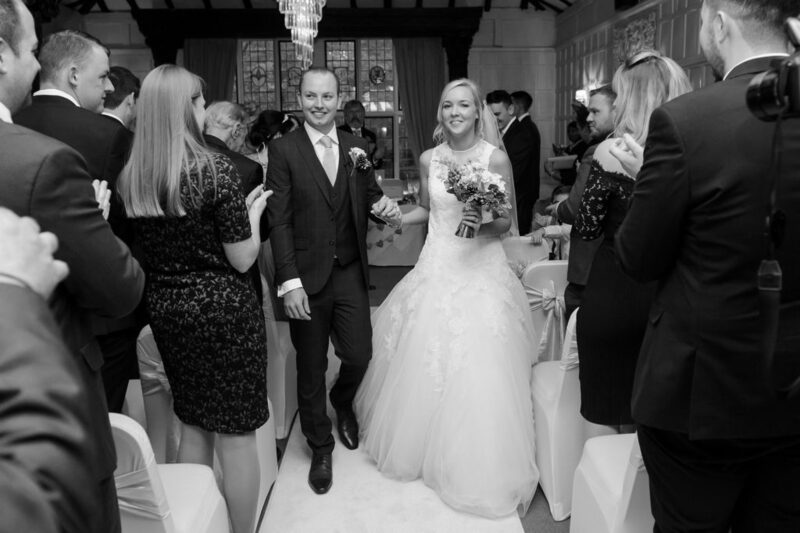 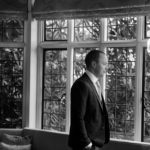 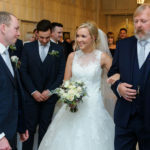 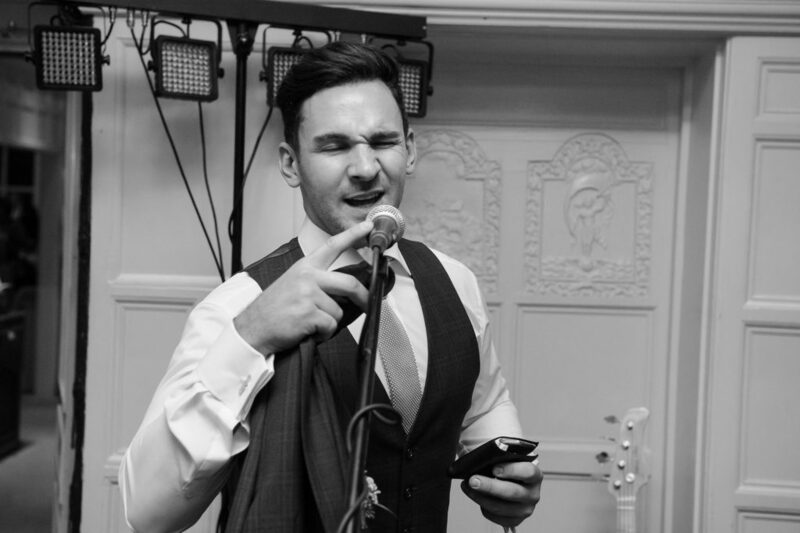 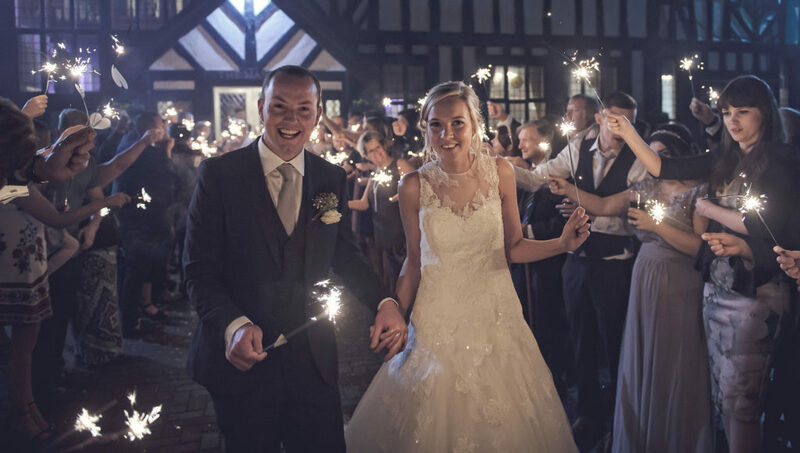 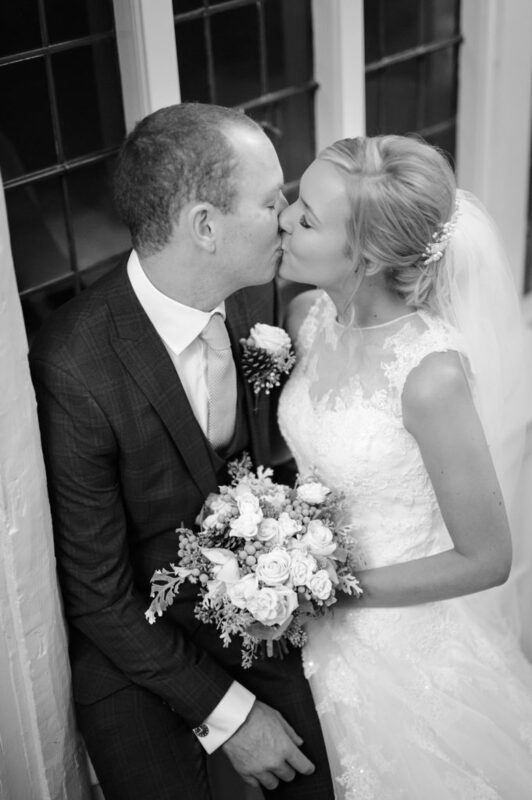 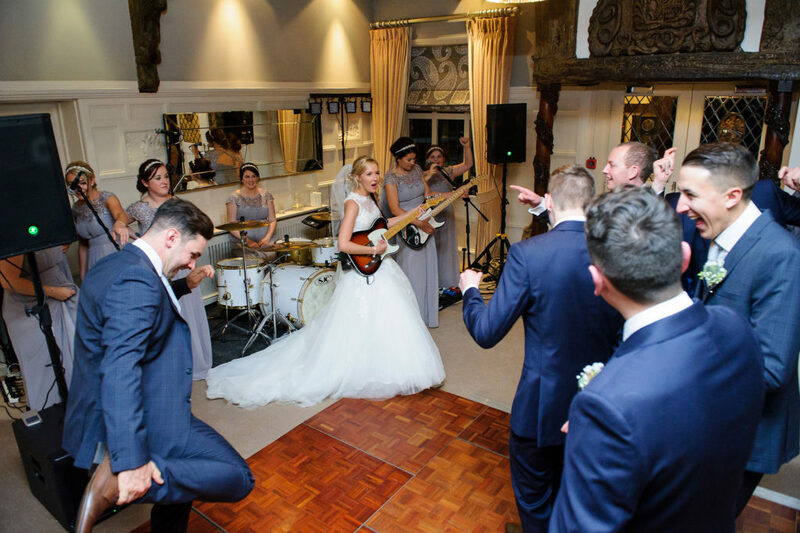 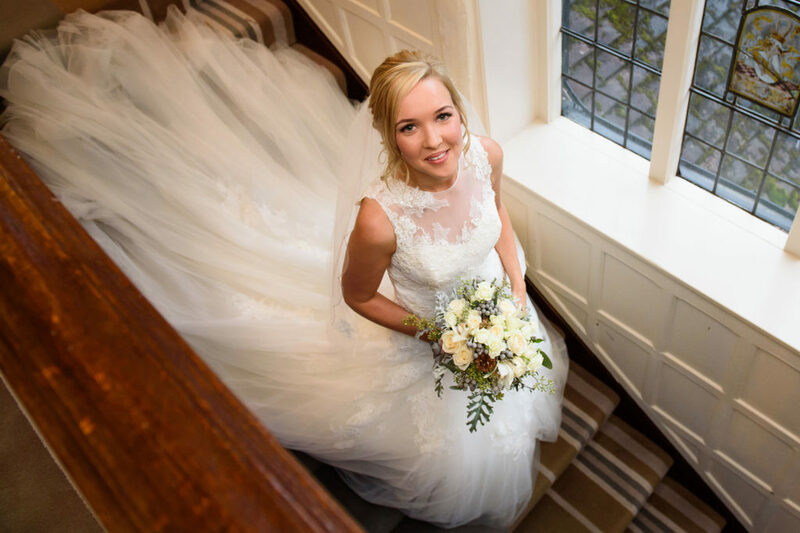 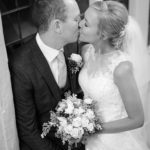 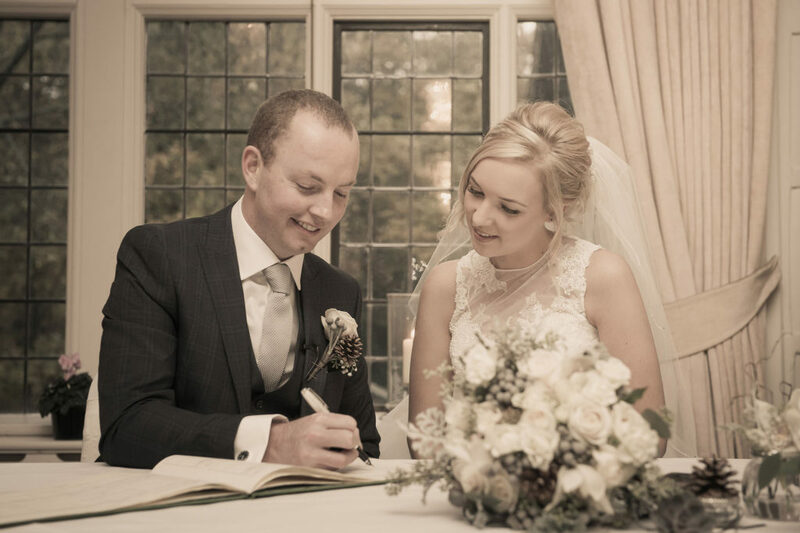 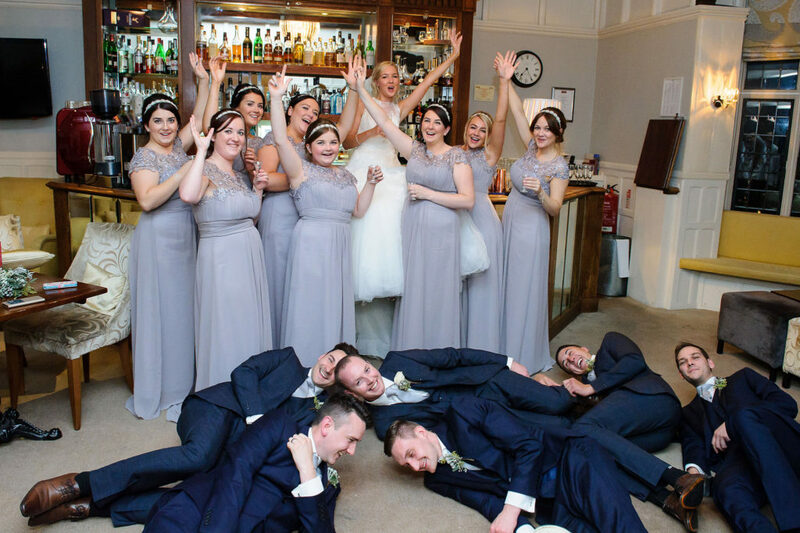 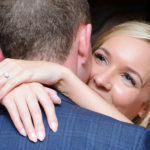 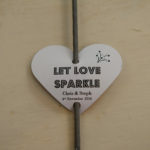 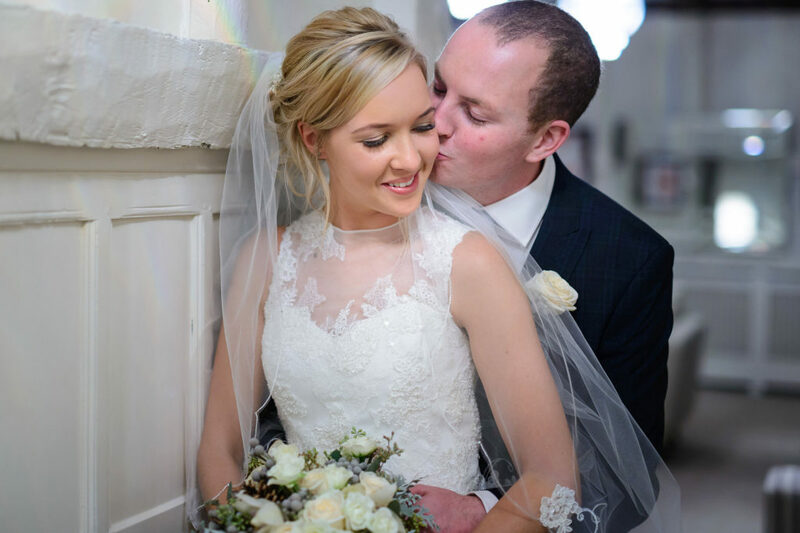 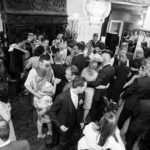 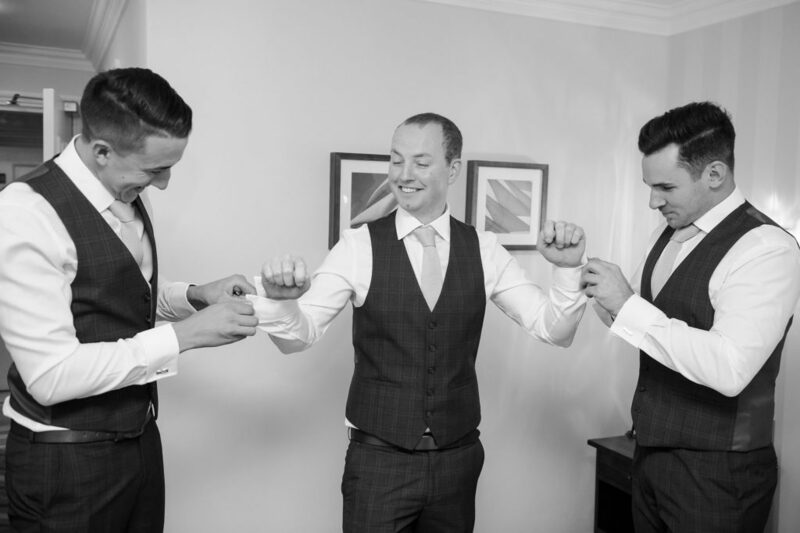 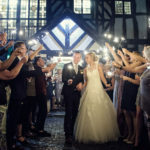 Stephanie and Christopher were married at one of our favourite venues in North London, Laura Ashley Manor. 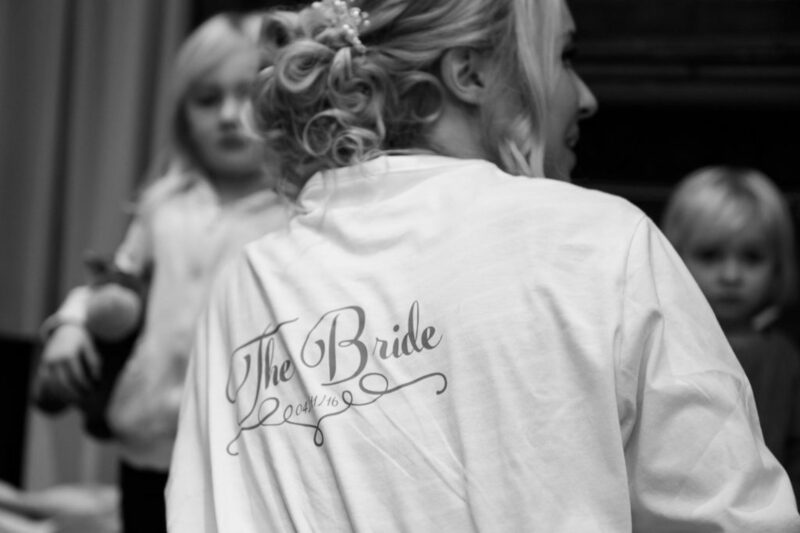 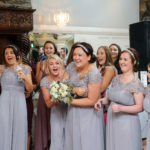 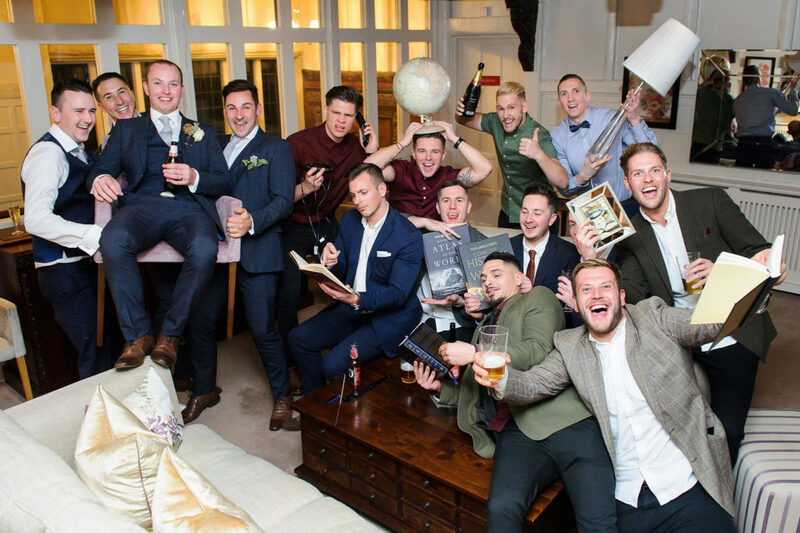 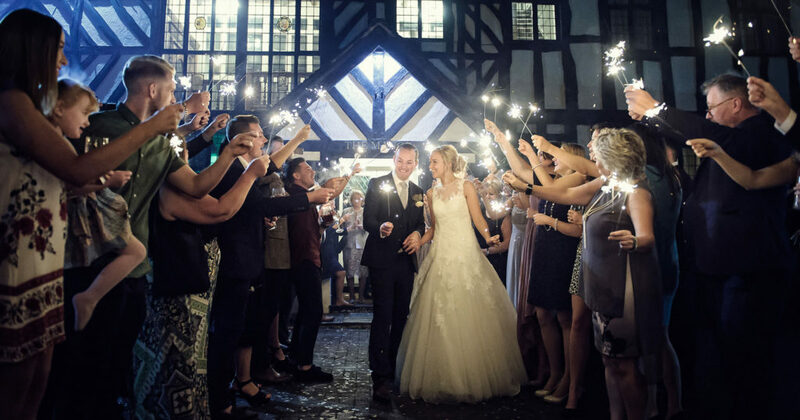 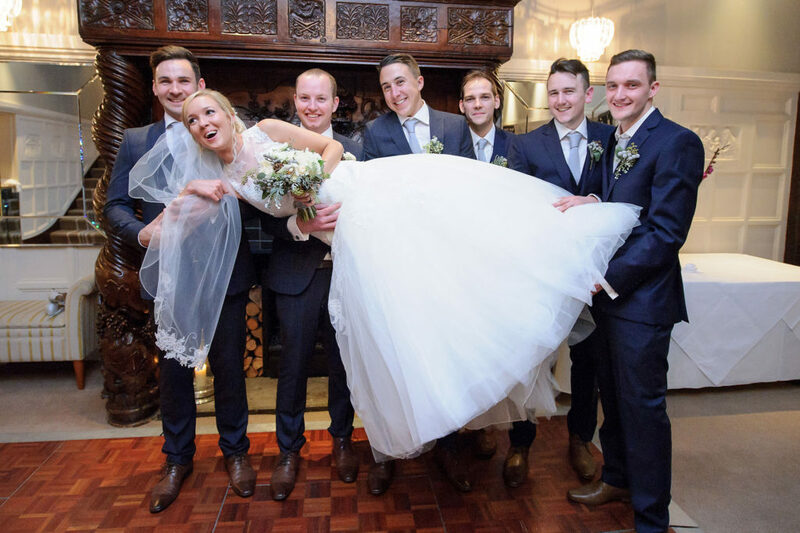 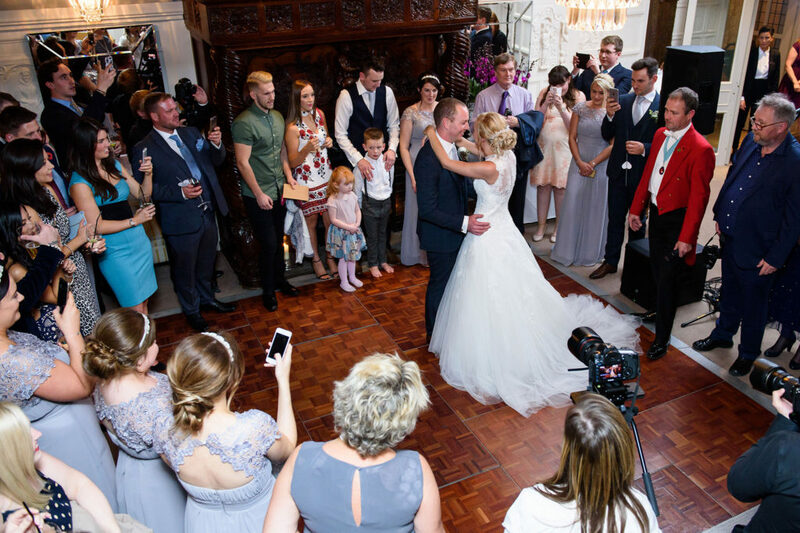 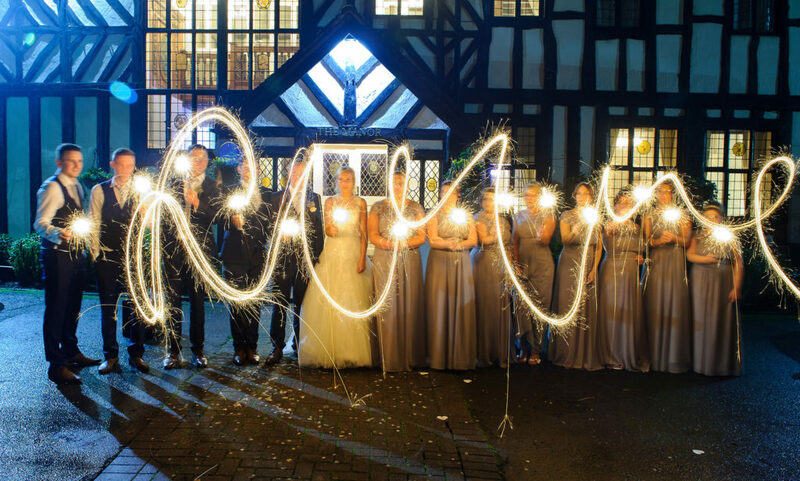 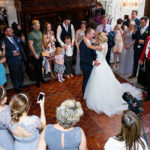 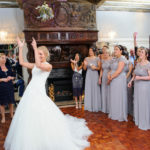 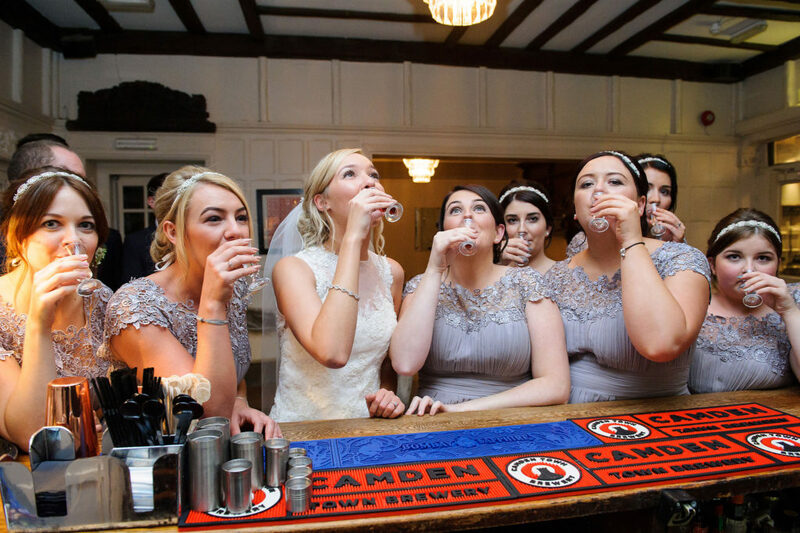 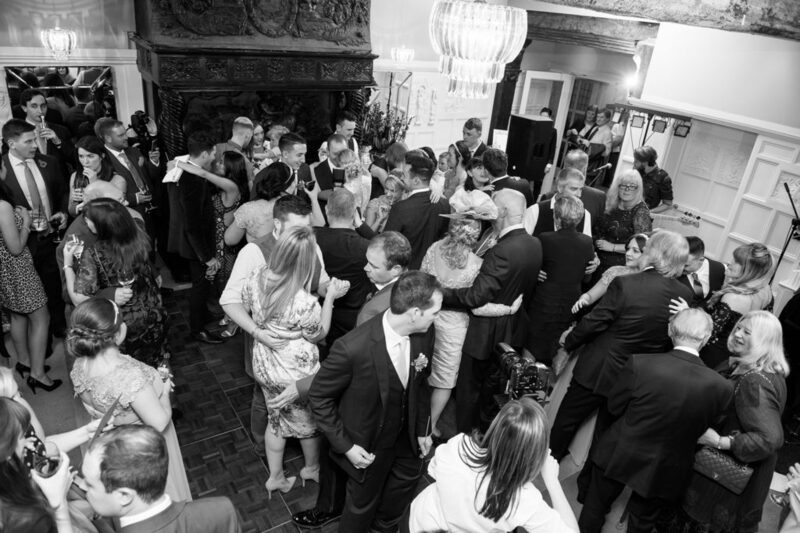 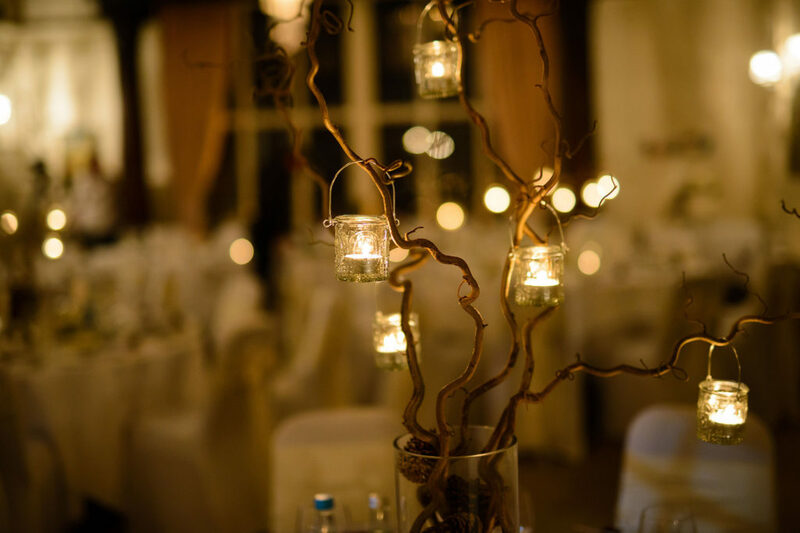 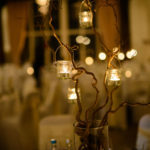 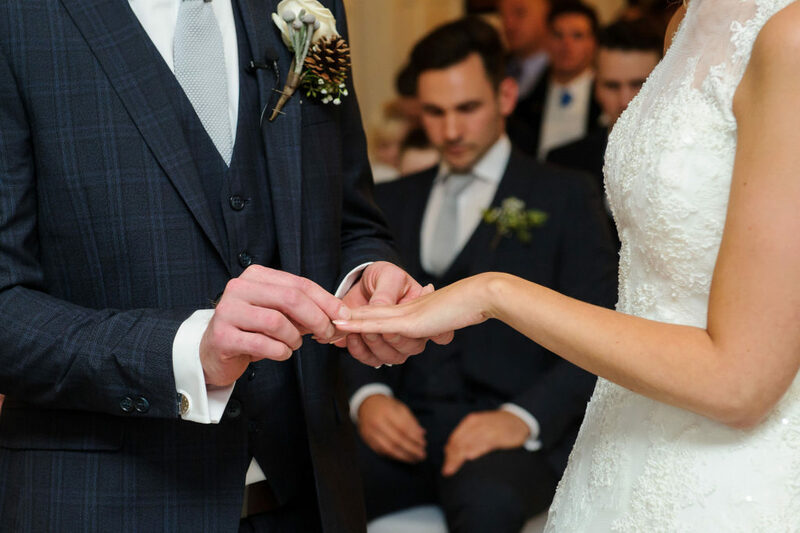 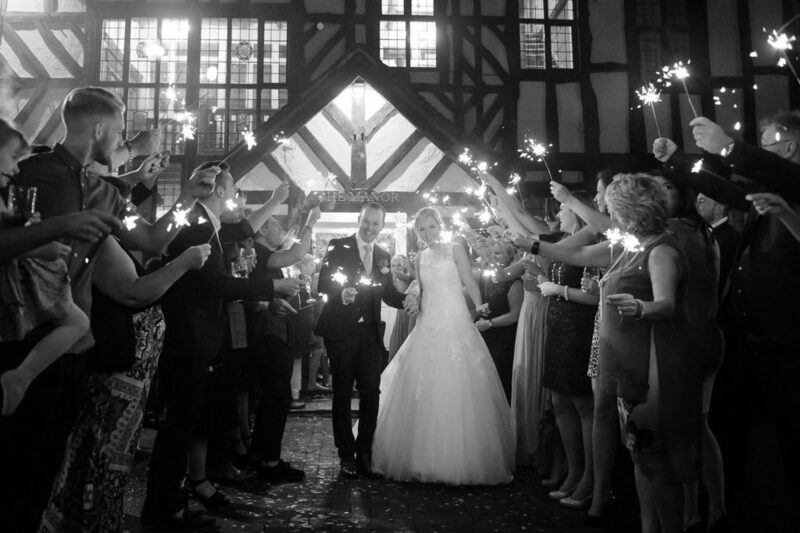 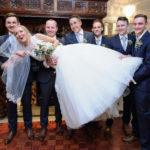 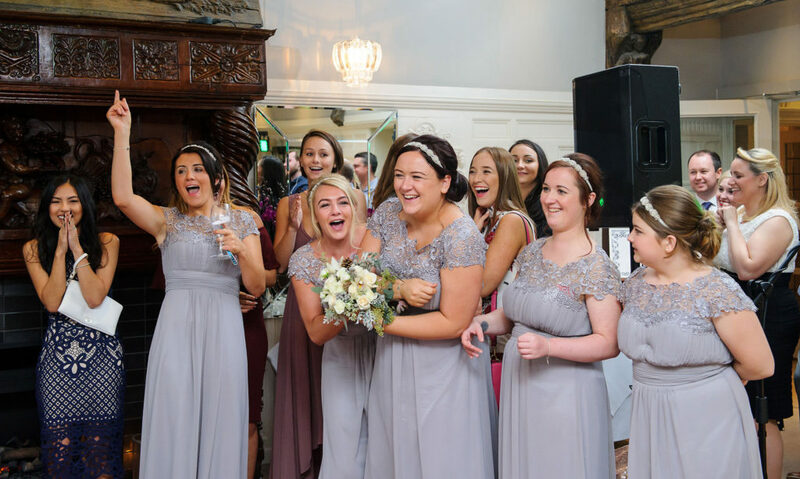 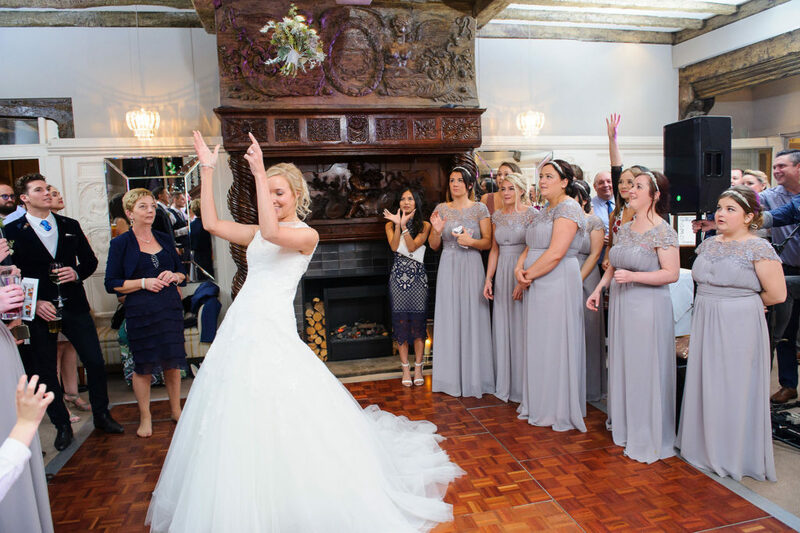 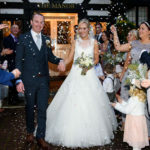 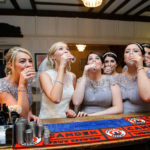 Laura Ashley Manor Venue is surrounded by 10 acres of gardens and natural woodland. 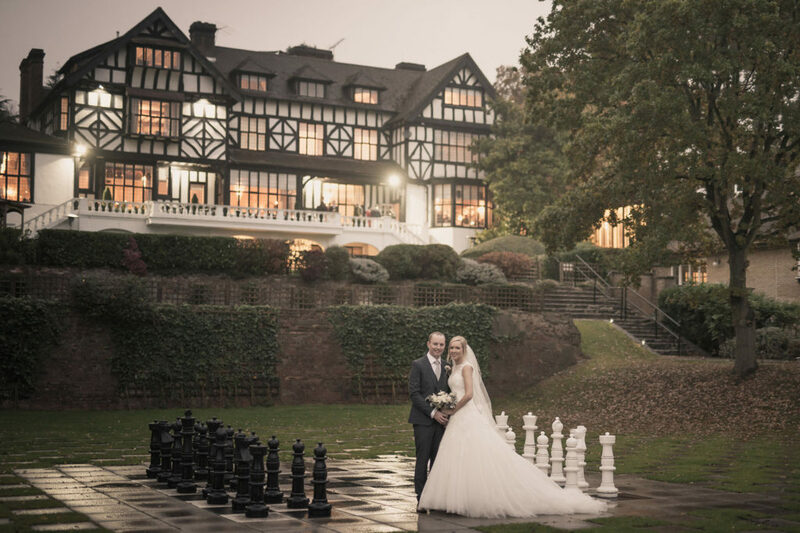 With views overlooking the Hertfordshire and Central London, the setting couldn’t be prettier. 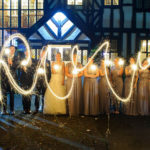 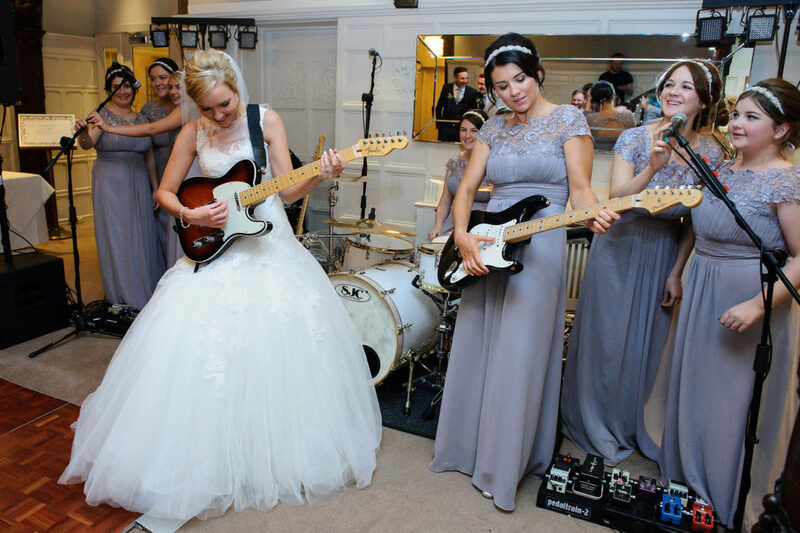 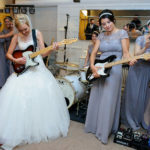 Working at this venue must be a dream for any wedding photographer. 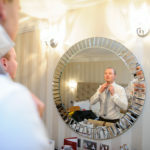 We started early in the morning taking photos of Stephanie getting ready along with her bridesmaids in the bridal suite. 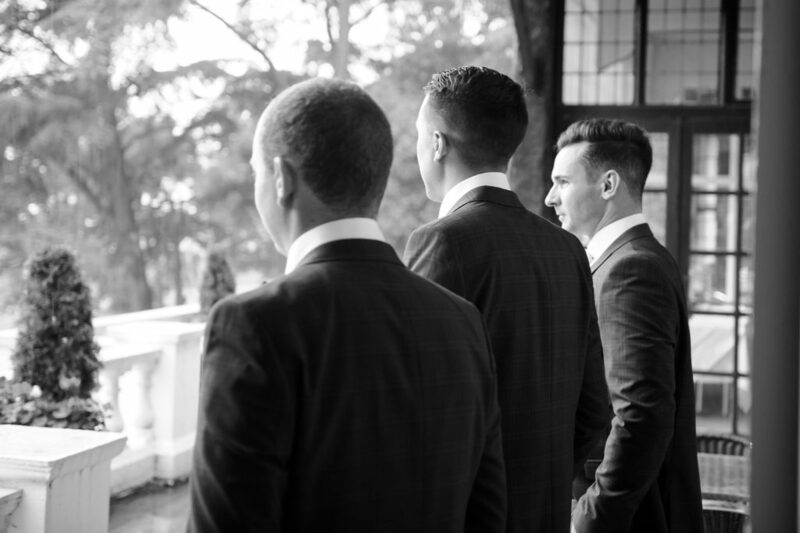 It was a great time for all of them and I couldn’t be more thrilled to be a part of it. 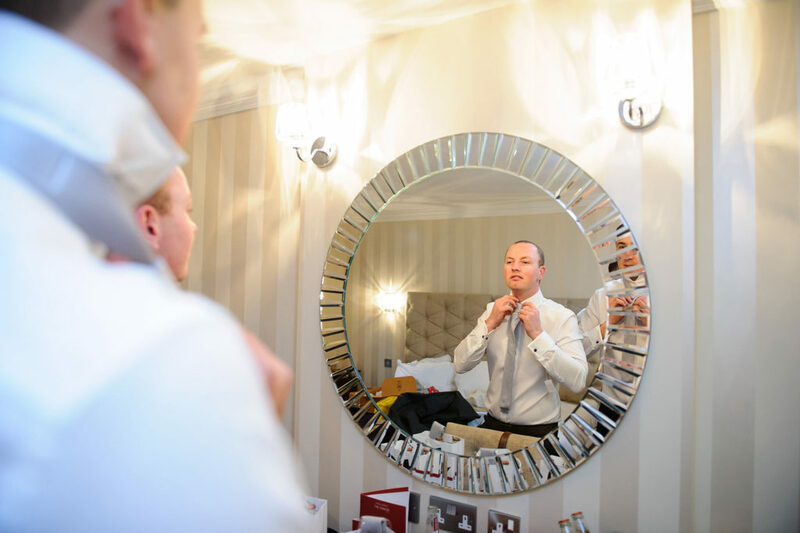 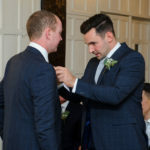 George was capturing Christopher and the guys getting ready; as usually, the guys preparations don’t take too long so they were soon ready to receive the guests. 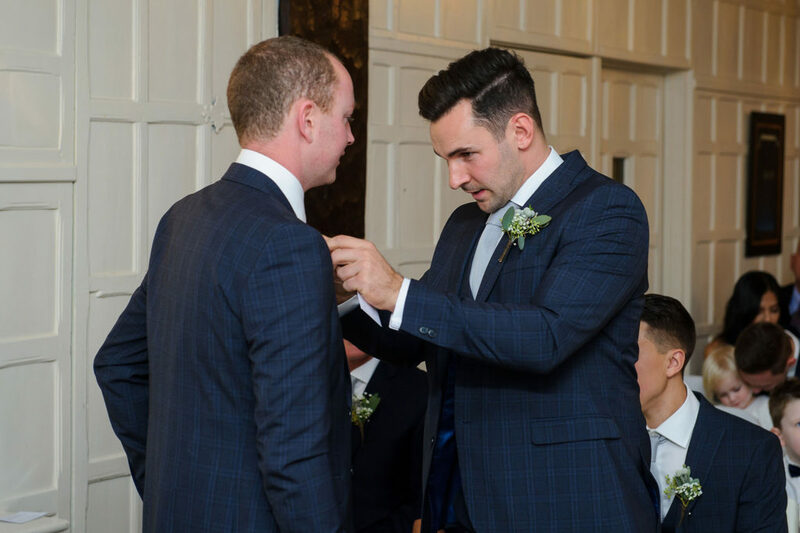 The ceremony was next and I have to admit the favourite part of the day for me is when the groom finally sees his bride for the first time. 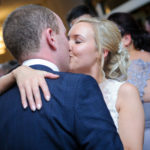 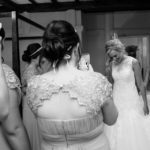 I always get emotional, but I think this is all about being a wedding photographer, feel the emotions and capture them. 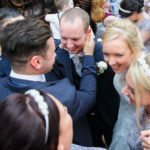 It’s only then when you manage to take the best photos, because not only you can foresee what’s happening next, but you can also help create memories that matter. 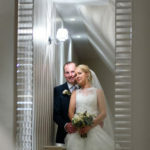 We continued with formal photos of the family, and because the weather wasn’t on our side, we had to take them indoors. 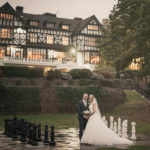 However, we did managed to squeeze a short photo session outside between the rain drops, just enough to have few nice pictures of this beautiful venue. 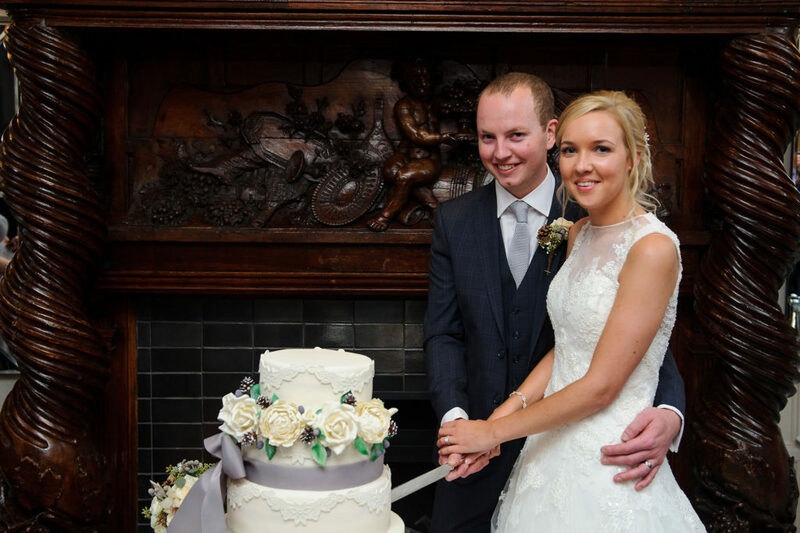 Wedding breakfast followed the speeches and cutting of the cake and not long after that, the party. 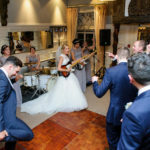 A band provided entertainment for the night and I have to thank them again for letting us using their equipment to take some nice shots with the bridal party. 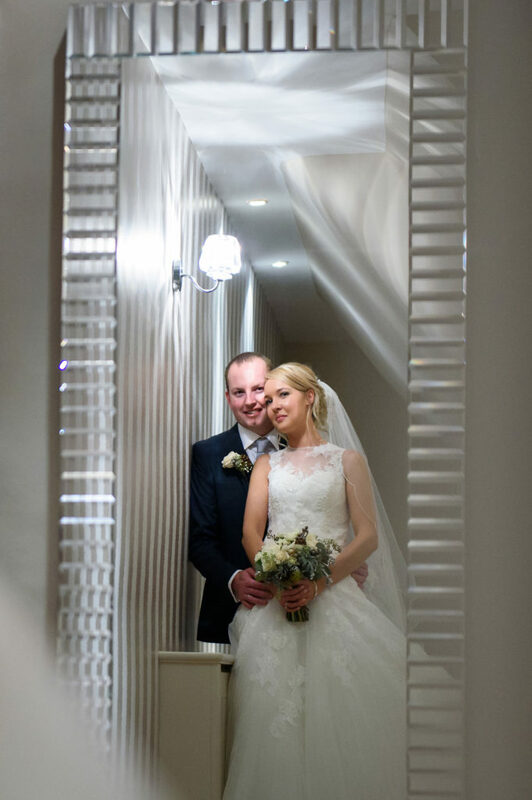 It was a lovely day and we cannot be happier that Stephanie and Christopher let us be a part of it. 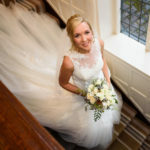 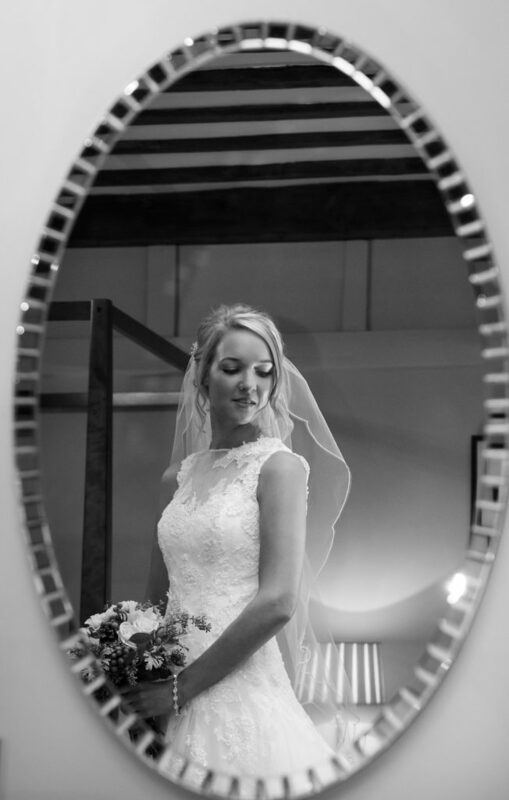 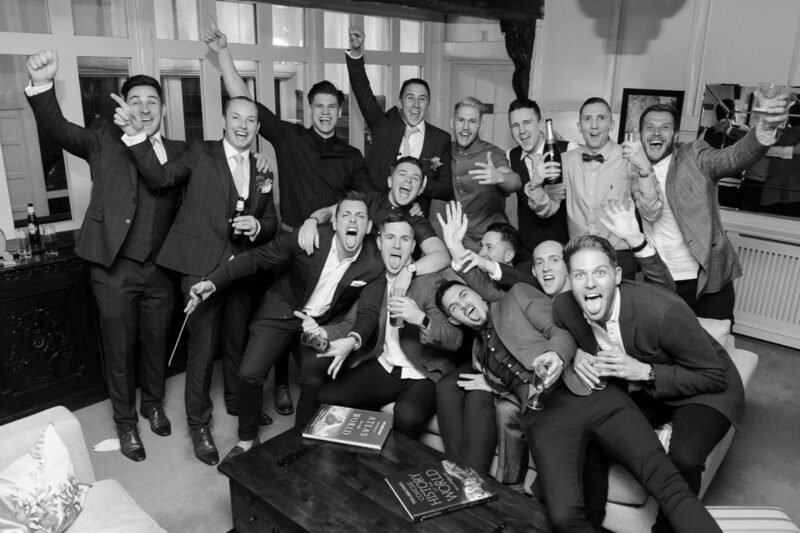 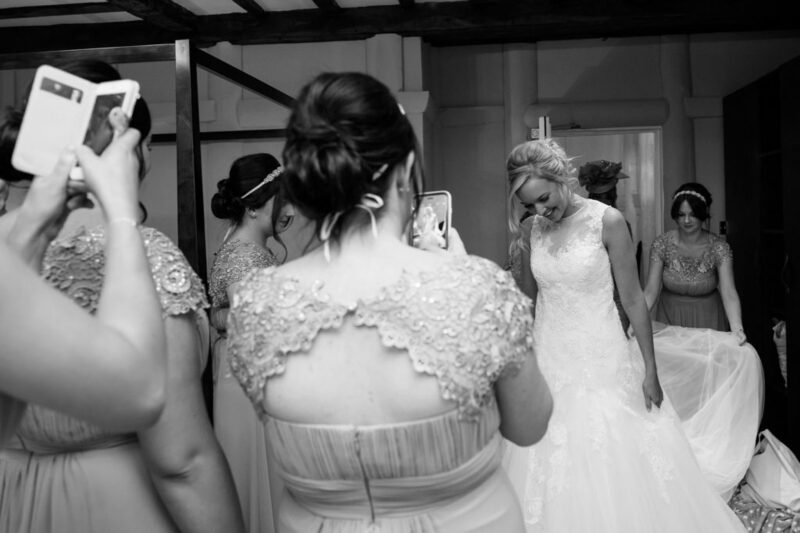 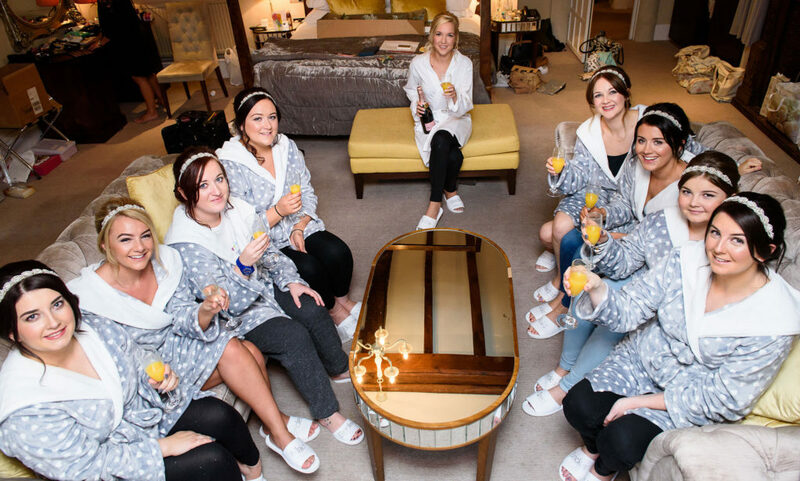 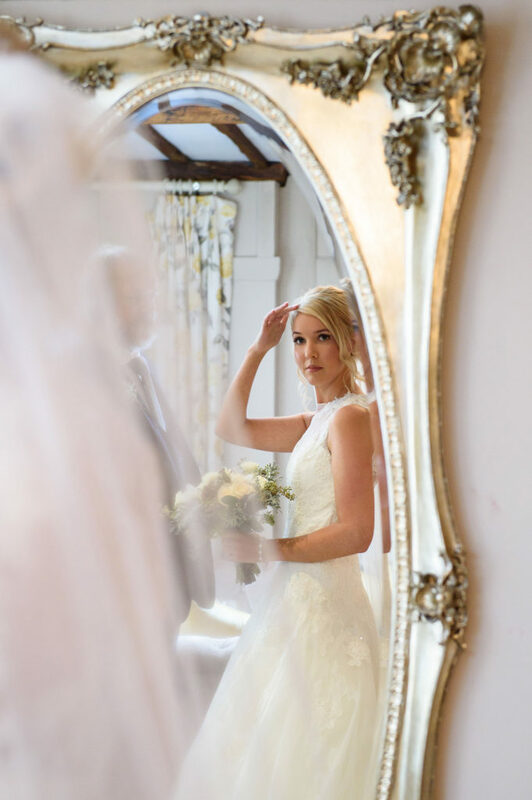 If you are looking for a Laura Ashley Manor Wedding Photographer, please get in touch, we can help!